Cheers to a fresh face to my blog! I have been looking forward to revamping and reinventing my site for a long time and now I am excited to share the blog’s new look. That being said I will always have beauty as my main content but I also will have more fashion and sprinkle some life adventures along the way… Therefore, enjoy! To kick off the blog’s new look, I plan to make this COLOURPOP week! 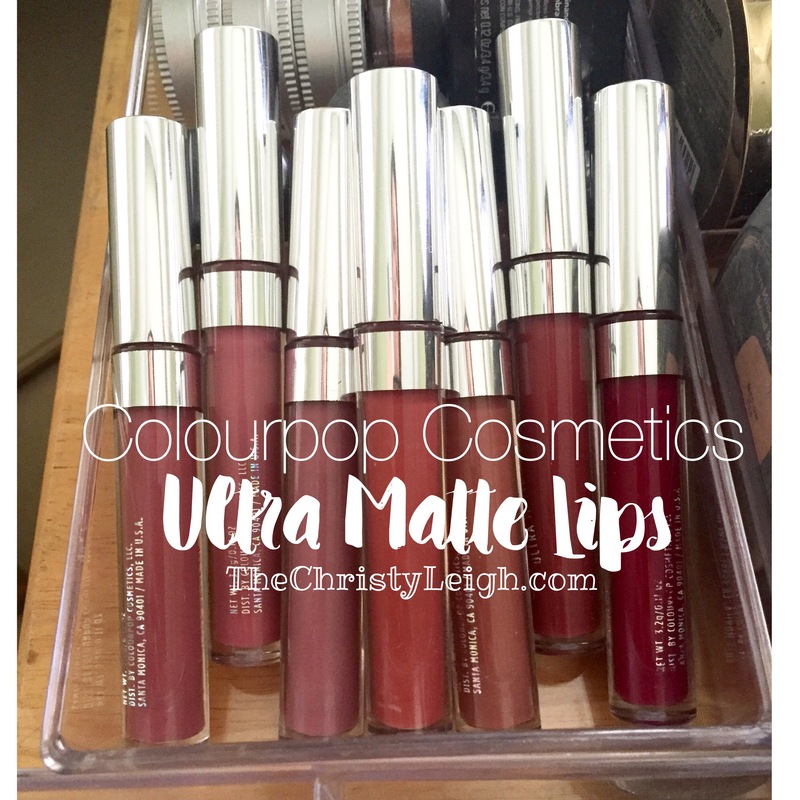 Each day I will post a little of my currently Colourpop Cosmetics collection; staring off with my Ultra Matte Lips. Clearly you can see the color scheme I seem to go for. So here is my review and breakdown of these products. Each liquid lip is $6, they go on wet and dry completely matte on the lips. I absolutely love these Ultra Matte lips, however, if you’re not use to liquid lipstick or have to lick or touch your lips throughout the day, then this product is not for you. They do feel awfully drying at times but I personally don’t notice or can handle it after a period of time. Plus I trained myself to not mess with my lips while wearing any lipstick. But if you don’t mind a dryer application or like liquid lipsticks, then this product is amazing! I recommend applying a light layer of lip balm before putting on your lipliner and Ultra Matte to help with the dryness. 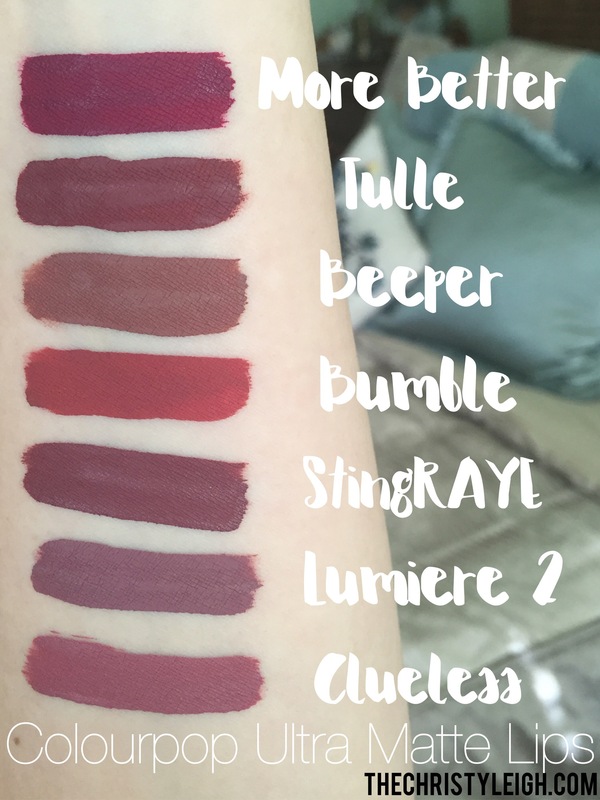 My absolute favorite Ultra Matte is Bumble, I am in love with the color and product… It is perfect! So that is my current Colourpop Ultra Matte Lip collection. I can only assume is will grow from here but there is much more to come for the rest of the week. Feel free to take a look at my story, it’s me Christy Leigh. Plus… I’m wearing Bumble in that picture. Browse around, read, and get inspired.